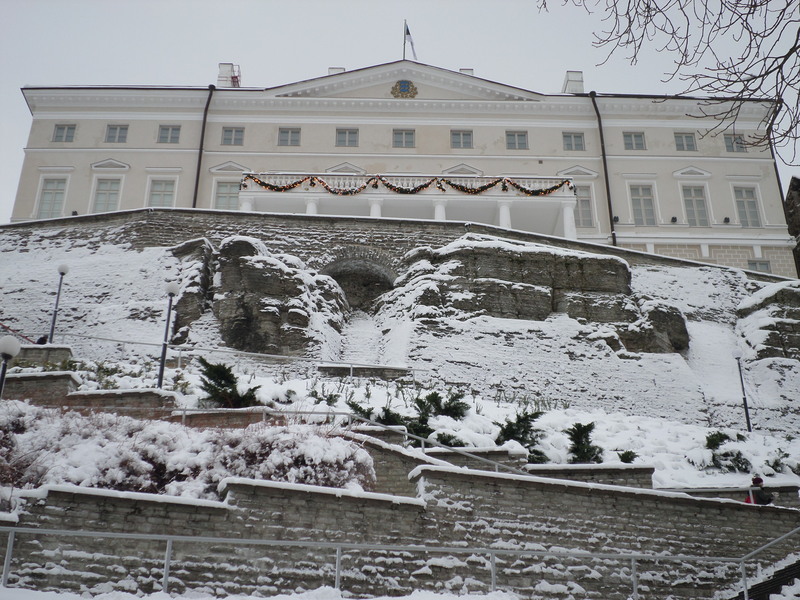 One of prettiest modern buildings in Tallinn is the House of Government. And one of the neatest things about it is that it sits on a cliff. We thought the best view of the building is from down below actually. The path down (you can see the steps in the picture below) is pretty awesome in itself and quite long at the same time. 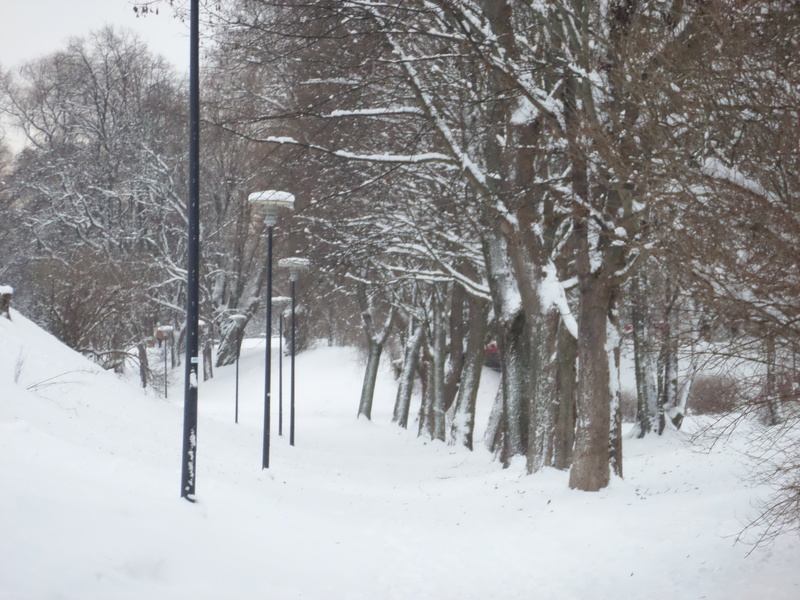 The whole area around the building is quite scenic, especially with all the fresh snow around. Quite impressive, especially considering that you can pretty much go up to the building without getting harassed by a bajillion security guards. It makes the building, and hence, the house of government accessible to people. What a novel concept! 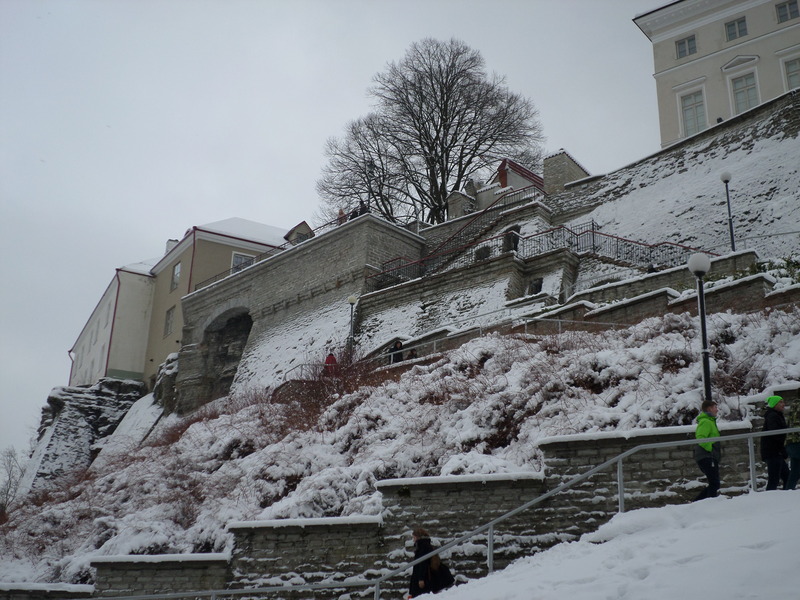 At the bottom of the stairway there is a lovely park. Looks just like a post card doesn’t it? 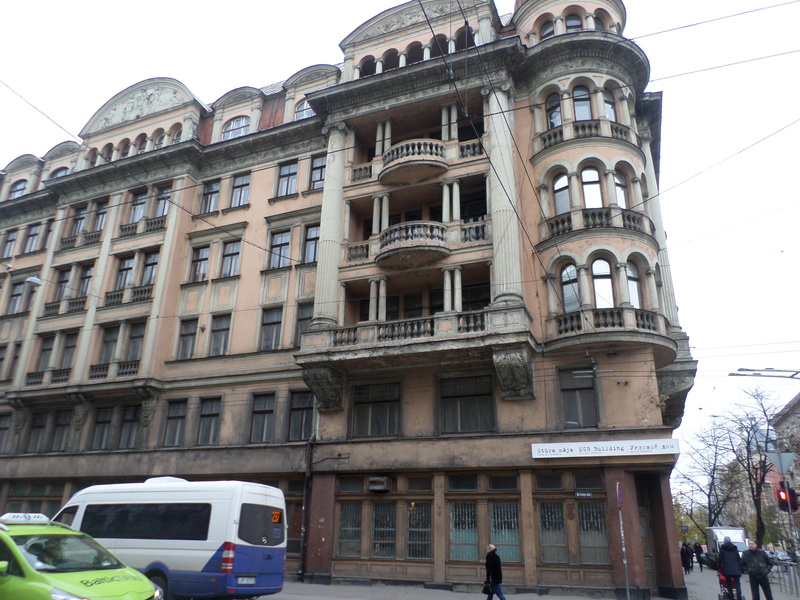 After strolling through Kipsala, I made my way back through Old Town Riga to the old KGB building. I imagine the building looks about the same way as it did when it was in operation. 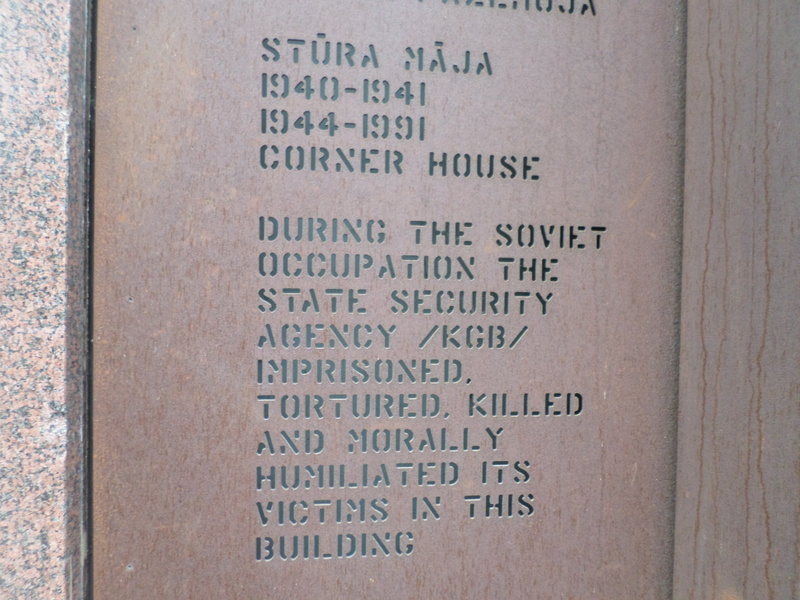 I think it’s interesting to see how occupied countries deal with their past. 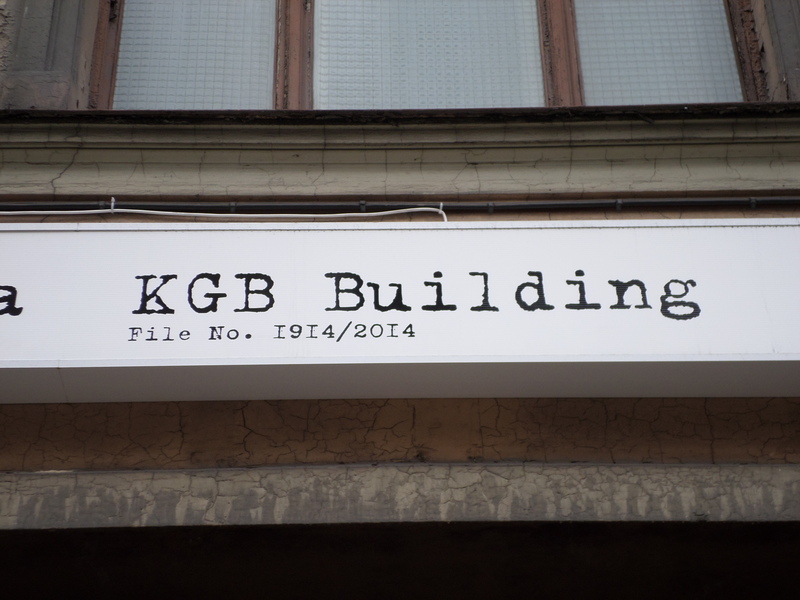 We recently went to Tallinn, Estonia (I’ll be posting about this trip in the future) and the former KGB is not marked and has been refurbished as an apartment building – you would never know what it was. 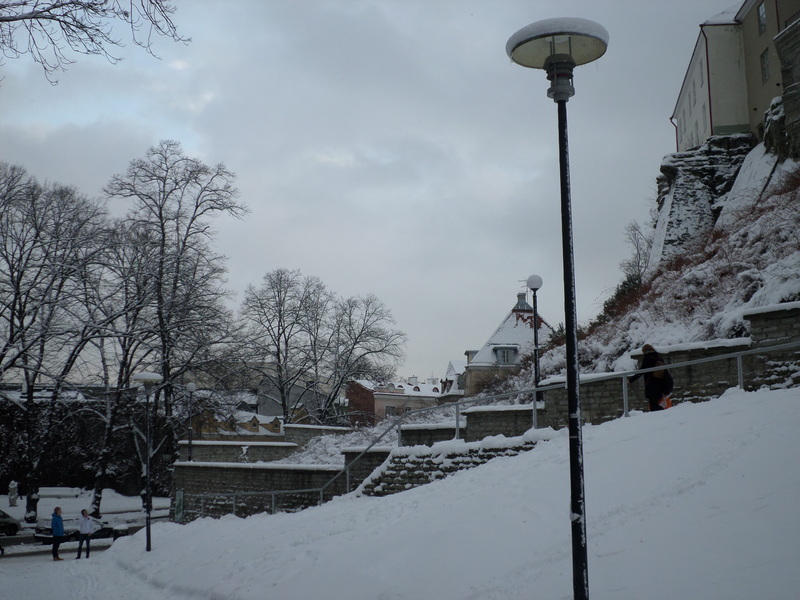 But Latvia will have none of that – they want to make it plain to every one of what happened in Riga during the Soviet occupation. 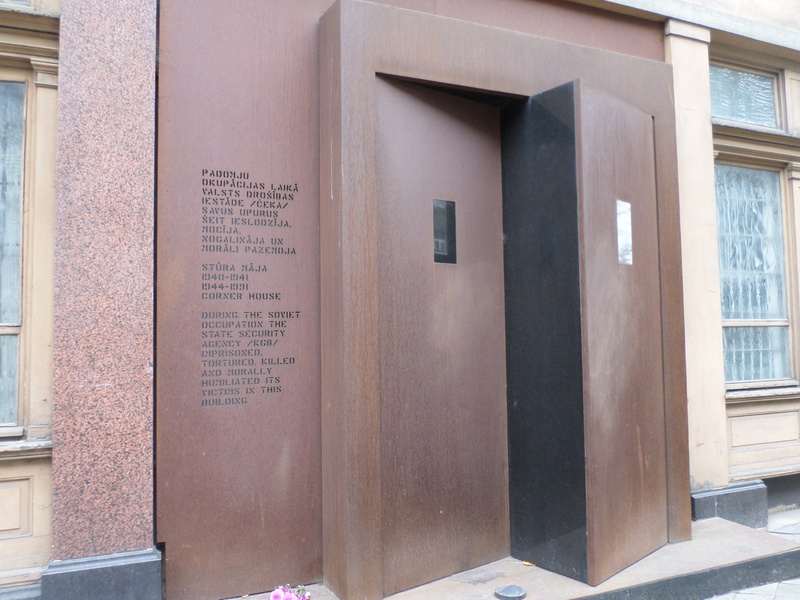 And so, the KGB building is now a museum that highlights the atrocities that occurred there. 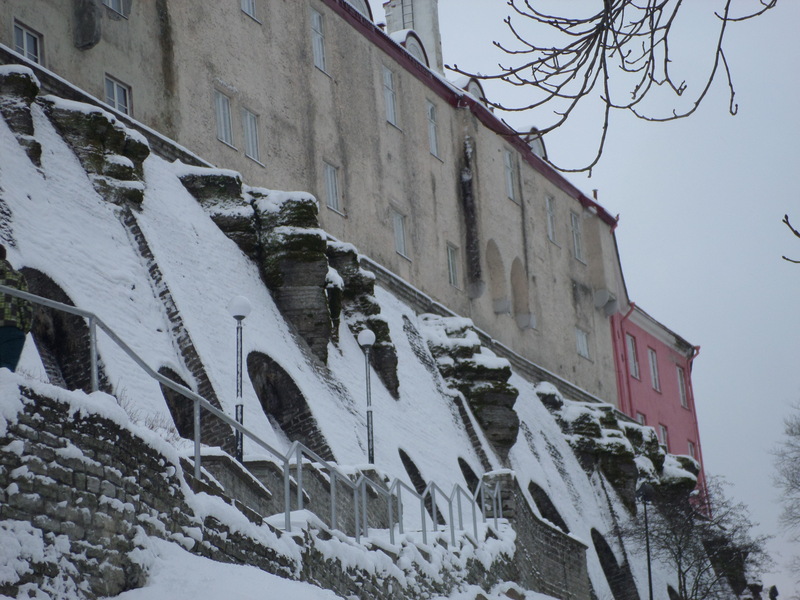 The thing that I found most interesting about the location is that it sits on the opposite end of town from the Soviet Victory Park. And smack dab in the middle is the Freedom monument. Geographically it’s almost hard to escape the Soviet influence. The plaque beside it gives a good description of it. Unfortunately I couldn’t go into the building, it was closed that day. I couldn’t help but take a picture of the sign. 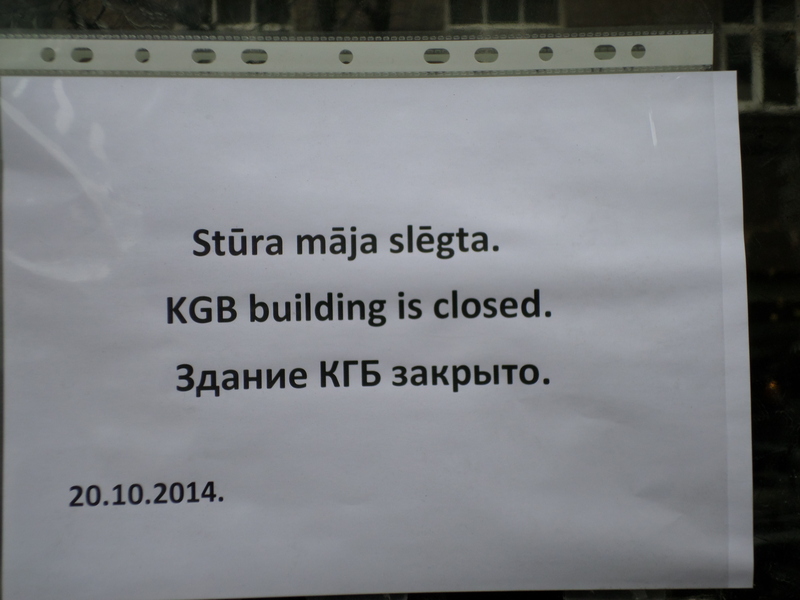 It seemed like a bit of humorous irony to have a sign up in a former Soviet occupied country that the KGB building is closed. Like duh! Of course it’s closed.